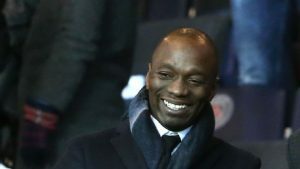 Makelele takes over struggling Belgian side – Royal Times of Nigeria. Former Chelsea star Claude Makelele today left his role as assistant to Swansea coach Paul Clement to manage struggling Belgian outfit AS Eupen. The 44-year-old ex-France midfielder was hired by the Qatari-backed side in a bid to turn around their fortunes after a poor campaign which has left them bottom of the Belgian first division. His exit also come as a big blow to the Liberty Stadium chief, with Saturday’s defeat at home to Brighton being their fifth in six matches. The former France international midfielder worked as an assistant coach at Paris Saint-Germain before a brief, unsuccessful stint as head coach at Bastia during the 2014-15 season. He also worked behind the scenes at Monaco before joining Paul Clement’s backroom staff at Swansea City last January. Eupen believe he is the man to help steer them away from the bottom of the Belgian top flight where they currently sit with just two wins and 10 points from their first 14 matches.